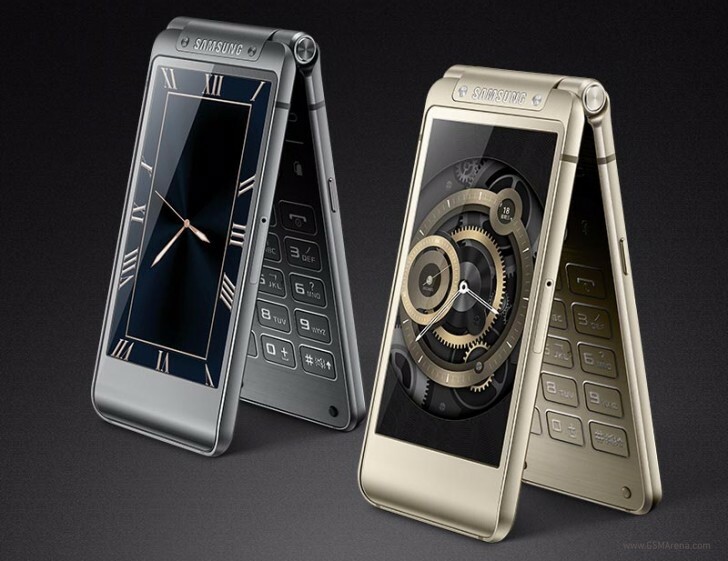 Samsung has made a new clamshell smartphone official in China today. It's called W2016, and we've already seen it passing through TENAA not long ago. That said, it appears not to bear the Galaxy Golden 3 name as previously anticipated. The W2016 is now listed on Samsung's official website for China, but oddly enough there isn't a proper spec list over there, at least not yet. So when it comes to the handset's innards, we'll have to mostly rely on TENAA's data. The Samsung W2016 thus comes with two 3.9-inch 1,280x768 Super AMOLED touchscreens, a 16 MP rear camera with LED flash, a 5 MP selfie shooter, the Exynos 7420 SoC at the helm, 3GB of RAM, 64GB of storage, 4G+ and dual-SIM support, and a 2,000 mAh battery. It runs Android 5.1 Lollipop. It has support for both fast charging and wireless charging. 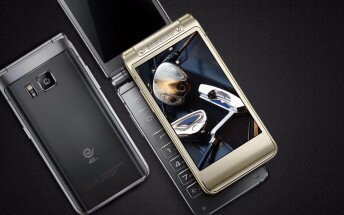 Like Samsung's top of the line smartphones of 2015, the W2016 is built only with metal and glass. It's apparently 15.1 mm thick, and it weighs 204g. It's said to cost a whopping CNY 9,999, which is $1,565 or €1,470 at the current exchange rates. So this is one for clamshell lovers who are also quite rich. There are two color options as you can see, grey and gold. For now, it's only out in China and only for China Mobile. And you probably shouldn't expect it to ever be officially sold elsewhere.